Apple’s new iPhone 6s is notably larger than previous iPhone versions, which makes it a little more difficult for users to comfortably reach each on-screen button. It’s particularly harder for those who prefer to navigate on their device using one hand. Due to the 4.7 inches screen which makes it uneasy for one-handed use, Apple had to come up with a quick method to shorten the reach to content at the top of the screen. Some hardware and software modifications lead to the new feature called “Reachability”. 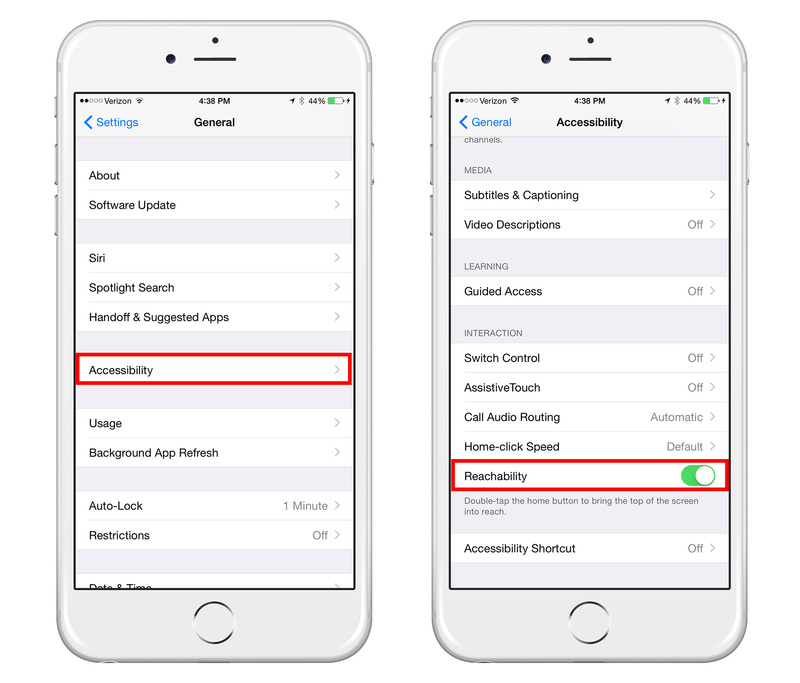 Reachability is an option that allows users with smaller hands or those using their iPhone one-handed to temporarily move the user interface down towards the bottom of the screen and reach the UI element they want. Learn more about how to bring the screen down on iPhone 6s below. 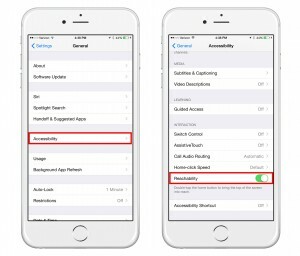 Scroll down to the bottom of the window where the option “Reachability” is located. Toggle the button to the right to enable it. If you wish to disable it, just slide the button to the left. Once Reachability is enabled, you can use it whenever you like by simply double-tapping the home button. Be careful however to double-tap and not double-click, as this will take you to the app switcher. And that’s how to bring the screen down in iPhone 6s. So go ahead and double-tap the home button and wherever you are in the user interface, the entire screen will slide down, hiding the bottom half and displaying the top half in the 50% of your phone’s screen. That way you can reach more easily UI elements at the top of the screen. The Reachability feature works on third-party apps, stock apps, and Home screen, but not on Lock screen.